I’ve played so many sim games over the last few years that I can’t remember what my real job is anymore. Is it a farmer, or a NASA technician? A firefighter, or maybe it’s just a plain old city planner? I’m very confused. So with Airport Simulator 2019, I have been left to compose my mind and work hard at becoming the best airport manager the world has ever known. But how did I get on? Was I Concorde soaring across the sky, or a paper airplane trying to get off the ground? The last time I spent any amount of hours with an airport game, it was mostly spent fighting fires in Firefighters: Airport Fire Department. There were a lot of fires, and how the whole damn place hadn’t been closed down on health and safety grounds was very strange. But even without those, the entire experience was pretty terrible. I am therefore hoping for a much better adventure this time around. I mean, how could studying customer flow, runway management, and the intricacies of working in a busy traveller hub like Heathrow or JFK, dealing with customer satisfaction and consumer greed, go wrong? Well… I think I assumed much higher responsibilities than what was needed. See, your time spent with Airport Simulator 2019 is all about driving vehicles from A to B and then back again in a certain time limit. What fun. You start the game with a garage of three airport vehicles; a passenger bus, a baggage carrier, and a fuel truck. You also have a big chunk of money and a light schedule to start with. Thankfully you are eased into things slowly, with only two flights a day to handle, managing the tasks associated with them. But when I say manage I mean you basically drive a passenger bus across the airport to a building, the passengers get on (although you never see them do this, it’s all imagined) and then you take them to the plane. All before doing the same thing in reverse. The same principle applies to every other kind of vehicle you manage; some are slower, some are faster, some are small and some are long, but at the end of the day that is your job in a nutshell. When you’ve completed taxiing all your flights, you get a bit of money and some experience points and then the working day is done. The next day you start all over again… unless you just don’t turn up. I wanted to join the circus or do anything else, however painful or degrading, by the fourth day of my super exciting new job. 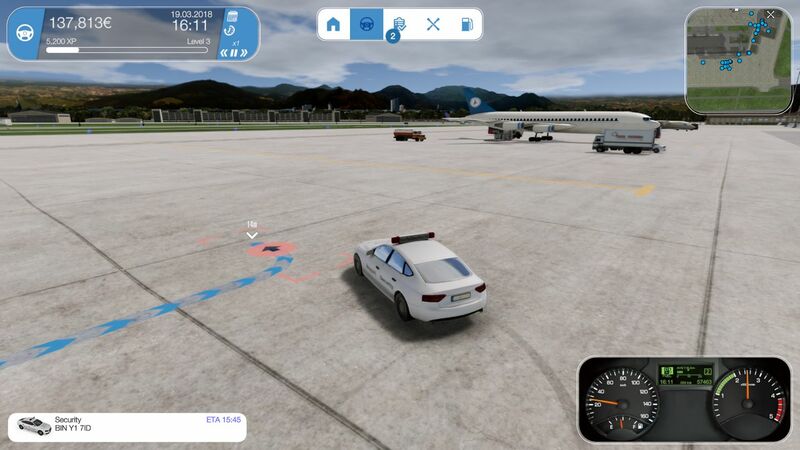 Now, you can drive all the vehicles yourself and get to the job in your own time, but as you progress through things the flights start to arrive thick and fast, so soon you won’t be able to run the whole airport by yourself. This is where you begin to hire staff to do the driving for you, with specialised workers for each vehicle. You can upgrade staff and vehicles as you go and the big aim is to sit with your feet up on the desk, ordering your minions around without you ever having to dirty your hands again. Vehicles get damaged, they run out of fuel or occasionally get left outside to rust in the rain. I didn’t care after a while though because I just wanted to hark back to that previous airport experience with the fires and hope that the whole thing just burnt down. Realistic job sim then? Yeah. 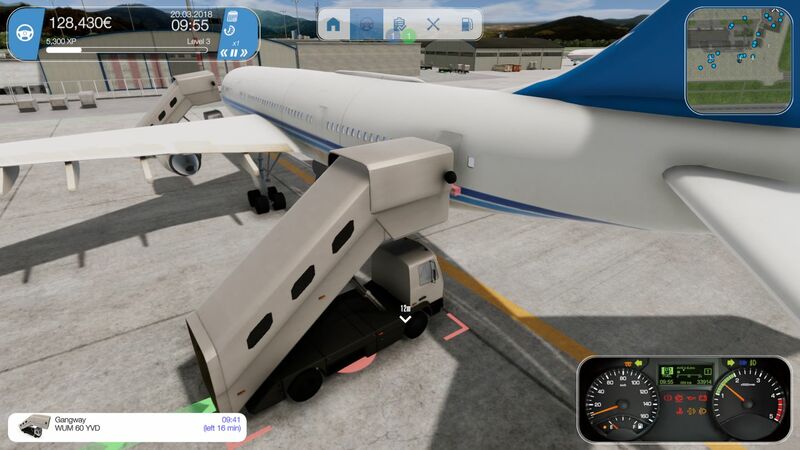 However bored I have been with my time in the virtual world of Airport Simulator 2019, it does have a strangely addictive quality to it… and that is even after having to sit through a multitude of lost saves due to my own stupidity. Like in all good sims, you want to know what happens as you gain more experience, you want to get the job right, you want to get the flights out on time. It has to be down to some weird ingrained response that made me carry on, even though I wanted to pull my eyeballs out and throw them at the screen. 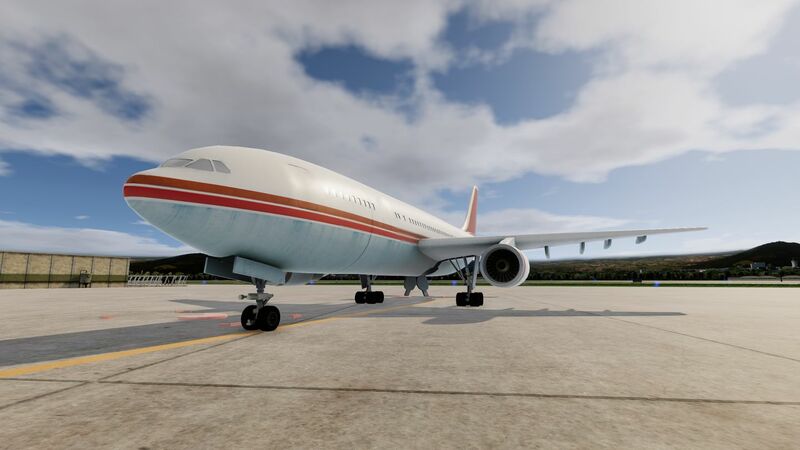 Airport Simulator 2019 just about looks fine and and you can find some nice moments – mainly when focusing on fast forwarding through the action, watching the airport move at speed around you – but generally everything is a bit basic and very generic. It has to be said that the menus are nicely presented and well designed, however, the actual airport itself comes with a serious lack of people in it, except the odd driver who stumbles into shot. Where are the passengers, the air stewards, the pilots? I have spent most of my time thinking I was in a ghost airport, serving out my sentence for crimes in a past life. And for something that plays on the Airport Simulator route, I have never once seen a plane take off or land. Maybe that’s because of the workload I have been left with? In the grand scheme of things, this is super disappointing as other sim experiences not only do a lot more graphically, but actually make their world feel lived in and alive. At no point does Airport Simulator 2019 achieve this goal. I’m glad that I’ve played numerous simulators over the last year, because it does allow me to put Airport Simulator into a bit of context. 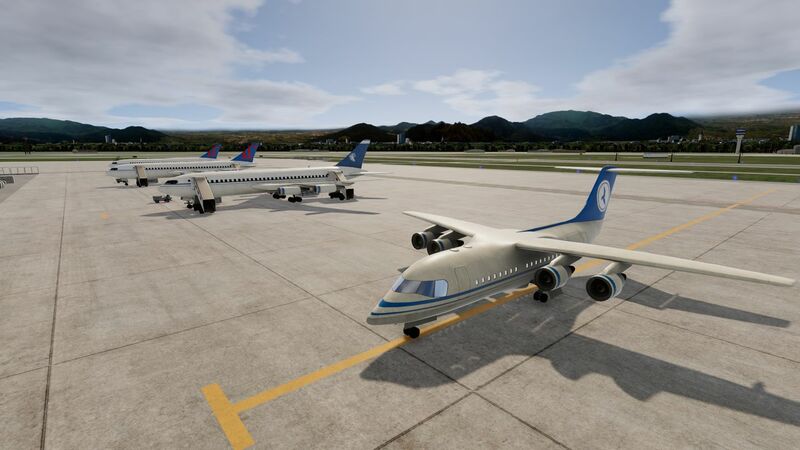 It hasn’t been quite as bad as some other recent efforts – especially those involving fires and other airports – but it is still a long way off what is expected from a modern day sim. I’ve been left wanting pilot schedules, food decisions, and many more options in regards time management. But instead I’ve been left with some very dull, very boring gameplay that will struggle to appeal to anyone. If only we had the chance to watch the airport grow and prosper then things may have been different. But until that time I will get back in my slow baggage buggy and deliver some luggage for the 15:15 to Belfast. Think of me and weep.